The union of body, mind and soul; the spreading of love and feeling of zen, are just a few expressions of what yoga means to Hana Sykorova. She came across yoga at university when recovering from a running injury and quickly realized it wasn't just the physical benefits of a flexible and balanced body that would make her a yoga convert. The improved ability to concentrate and stay calm while balancing a busy life in New York City and competing in Ironman triathlons at an elite level, the improved clarity in connecting with her intuitive side and living life from the heart, soon became apparent as additional benefits and a way of living. Hana became certified as a RYT 200 teacher by the Kula Collective in Troncones, Mexico, received her RYT 85 Prenatal Yoga Teacher certification in Rishikesh, India, also known as the world's yoga capital, and came back to her Tribe, the Kula Collective, in Guatemala, to receive her RYT 300 hours certification, deepening her hatha, vinyasa, pranayama, meditation, restorative and yin yoga teaching skills to incorporate the mystical tradition of shamanism, reiki & energetic healing, breathwork, tantra, yoga nidra and sound healing. 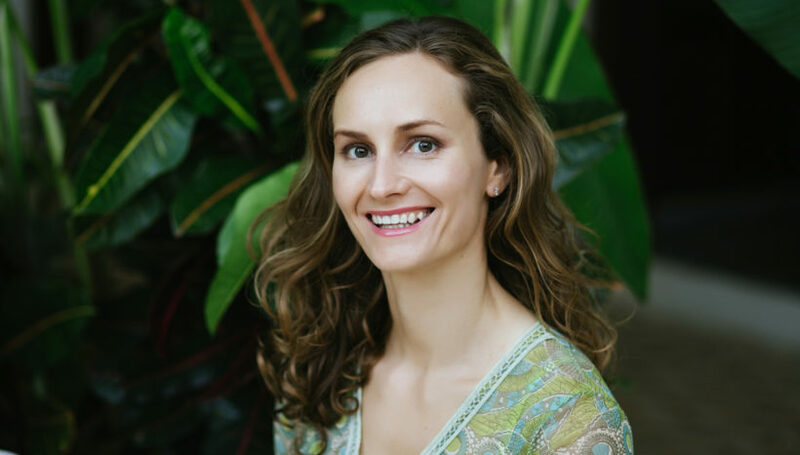 She now organizes transformative yoga, cycling and babymoon holidays in the Mayan and French Riviera and is grateful to be able to share her learnings with the world.